(1) Proper Initial Investment. 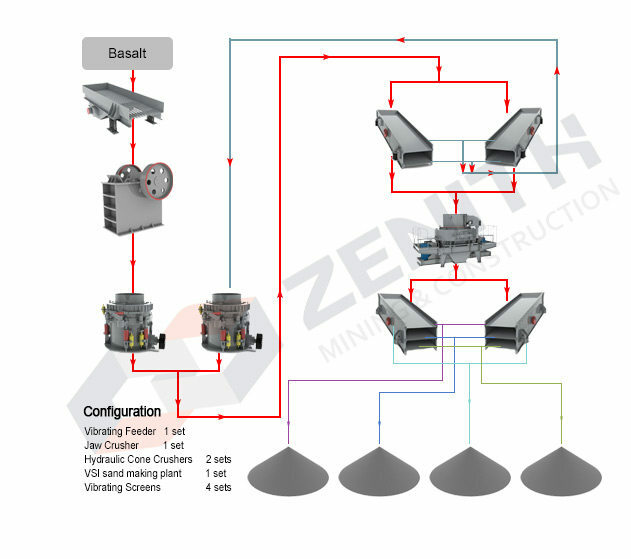 ZENITH is capable of providing complete crushing line with the capacity ranging from 30-600TPH. The capacity for the Jummum site was 300TPH, which has been proven as one of the most profitable and cost efficient capacity choice by our customers in Saudi Arabia. After two sets of HP220, and the VSI sand making plants, the aggregates sizes were very cubical shape, which can help our clients sell at higher price. (3) Rapid installation. Our experienced engineer can install the crushing line within one and a half month. (4) Simple operation and maintenance. This crushing line was highly automatic. It is easy for local workers to operate and maintain the crushing line. (5) Prompt after-sale service. We have already set up office in Dubai, UAE, and we have experienced engineers there, who can provide prompt and good after-sales services for Middle East clients. And this year, we are building up our Jeddah office and Spare parts warehouse, so more convenient and reliable faster after-sales service will be provided by that time for our Saudi Arabia clients.